From childhood, Dr Susanna Cramb knew she would pursue a career in medicine. Her undergraduate degree, a Bachelor of Applied Science in Medical Science from Queensland University of Technology, continued this focus. But when undertaking a Master of Public Health and Tropical Medicine, she became enthralled by statistics, which led her to complete a Graduate Certificate of Science (Statistics) in 2007, and then a PhD in biostatistics in 2015. Susanna’s research focus is to quantify and understand differences in cancer outcomes based on where people live, with a particular interest in survival disparities. Her work has directly informed government policy aimed at reducing cancer inequalities based on residential location. Susanna loves her work and is passionate about encouraging others to consider a career in statistics. 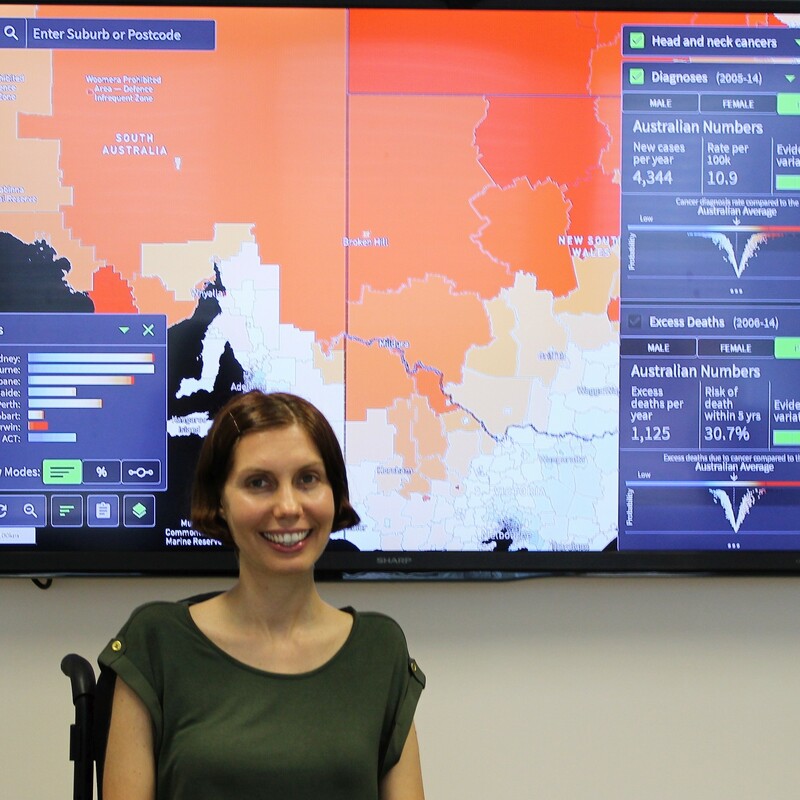 She is now a Spatial Modeller at Cancer Council Queensland, a Visiting Fellow at Queensland University of Technology, and an Honorary Fellow at Menzies School of Health Research. As a high-performing early career researcher, she has published 29 journal articles, 11 commissioned monographs and 1 book chapter, obtained over $920,000 in competitive funding, and according to Google Scholar, has more than 2200 citations, and an h-index of 15.